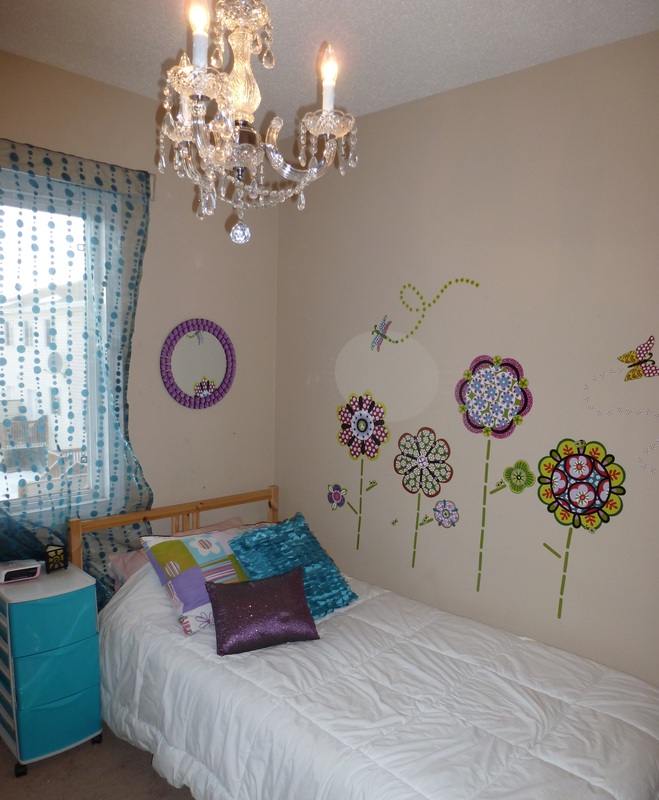 This room is an example of what a little bit of bargain hunting and a little bit of time can do for a child’s room! As children grow up and their tastes change, they tend to love one colour, then hate it a week later. We didn’t want to commit to a paint colour for that reason- and the house is only a year old, so the beige colour was fresh and new! 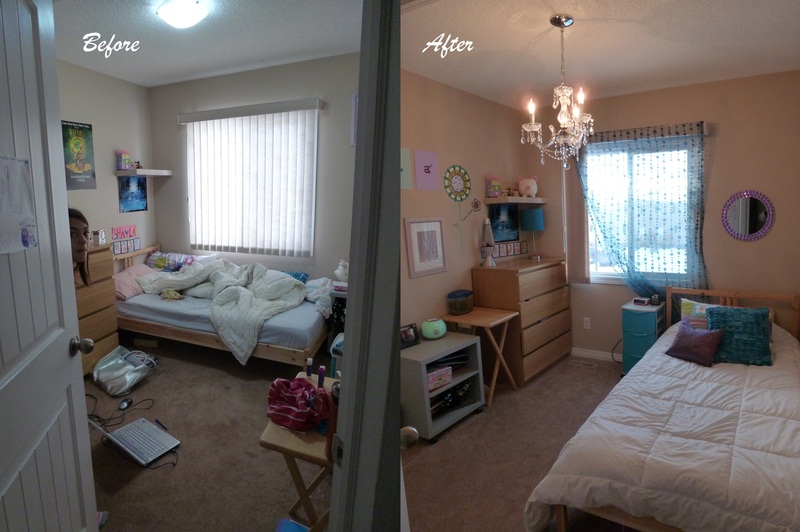 With a budget of $150.00 we set out to reorganize and add some life to this bedroom. The chandelier was a steal- purchased at the Edmonton Restore, this retailed for over $80.00 and we snatched it up at $15.00! On a quick trip to Home Depot for some screws and supplies, I spotted a fun wall decal- and couldn’t pass it up! At $29.99, it is a quick and easy punch of life and not one drop of paint hit the walls. A work mate referred me to this resource. Thanks for the information.